SALT LAKE CITY, June 27, 2012 -- Northrop Grumman Corporation (NYSE:NOC) has announced the winners of its fourth annual Engineering Scholars program for graduating high school seniors in the greater Salt Lake City community who plan to pursue a career in engineering, computer science, physics or math. Raichelle Aniceto from Skyline High School and Laura Slusser from Olympus High School each received a $10,000 merit-based college scholarshipâpayable in $2,500 installments over four yearsâfor their excellent academic achievements and community involvement. This fall, Aniceto will study aerospace engineering at the Massachusetts Institute of Technology. Slusser is planning to major in electrical engineering at the University of Utah. The students were honored at an awards reception hosted by Northrop Grumman's Salt Lake City-based Navigation Systems division on June 14. "Northrop Grumman has been a longtime advocate of education, particularly in the science and math areas," said Liz Iversen, sector vice president and general manager of the company's Navigation Systems division. "These students represent the future of our nation and our industry, and we congratulate them for their impressive accomplishments." The Northrop Grumman Engineering Scholars program is open to promising high school seniors who plan to attend an accredited university or college as a full-time student in an approved engineering curriculum. 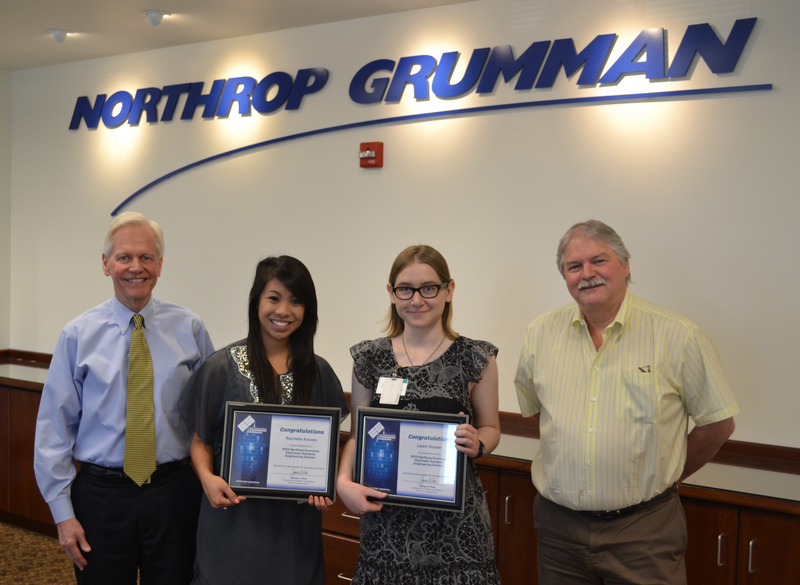 A committee of Northrop Grumman employees selected the Engineering Scholars winners. To be eligible, each scholarship applicant had to be a graduating senior this spring from an accredited high school in Davis, Salt Lake, Weber or Utah counties. Applicants also had to meet minimum SAT/ACT and grade point average requirements. Additionally, the committee considered work experience, community involvement and extracurricular activities. More information about the Northrop Grumman Engineering Scholars program is available at http://www.es.northropgrumman.com/community/engscholars/ .